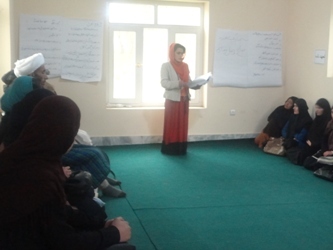 Initiating Psychosocial and Peace Education for Elimination of Violence Against Women (started in 2004 with periodic recurring sessions) in Kabul & Ghazni Province. Capacity Building that includes: (1) Literacy & Catch up program for women & children; (2) Quranic Education; (3) Income generation programs for women; (4) CRC; (5) Human rights and women’s right awareness; (6) Peace education, Psychosocial, conflict resolutions workshops; (7); Library; (8) Computer, networking; (9) Overall Management; (10); Accountancy & financial management; (11); Leadership; (12) Community mobilization trainings; (13); TOT, Master trainers training & teacher trainings; (14) Data base training; (15) Communication Skills; (16) Presentation skills; (17) Advance English language program; (18) Business Training for women; (19) Professional Higher Education in management, finance accounting and IT; and (20) Librarians training. Vocational Training and Income Generation that includes: (1) (Tailoring and handicraft training; (2) Artificial flower making; (3) Handicraft and tailoring production and marketing; and (4) participation in exhibitions. Construction of a form house in Ningrhar – Bahsood for villagers to be trained professionally for better productive. The construction was done by support of CNFA/USAID. Construction of a mosque in But Khak is going on since 2013. Professionalism & transparency- The core part of developmental activities that lead to achieve selected goals is professionalism in transparent manner. NECDO is in the process to change its direction toward developmental activities where empowerment of the community and the sustainability of the projects are ensured. 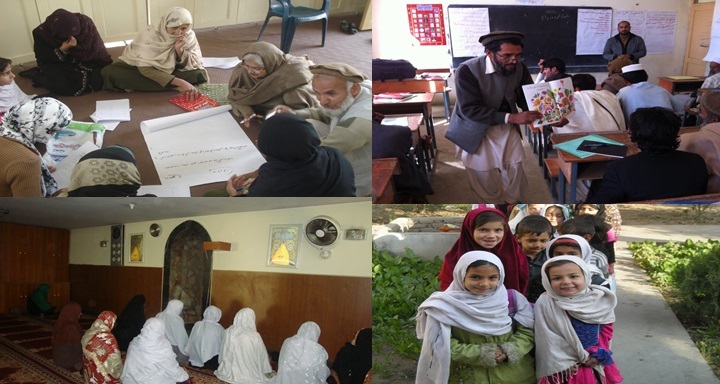 Therefore, NECDO being a local NGO strives to implement its activities and provide services that ensure professionalism. We are committed to endeavor to the values that are essential to the development of human resources and economic growth of the county. We believe that it is steady process and we struggle to achieve the highest standards both in our office environment and in our projects in the field. We have kept records of management and finance through the period of ten years and we do have audit reports of expenses in excess of $20,000. Human Rights & gender as cross cutting issue: each individual in a society has rights and obligations to strive for living life in comfort and peace with equal access to resources & opportunities of empowerment. 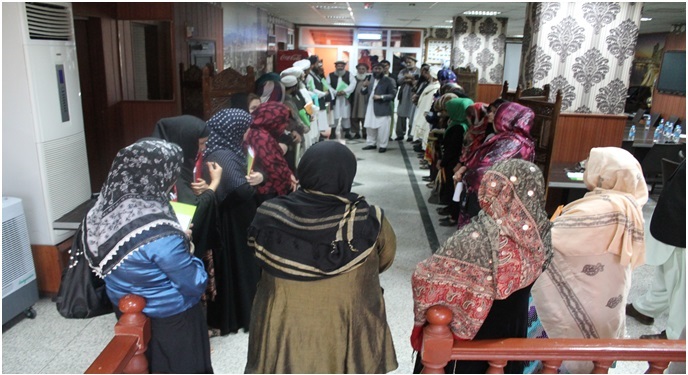 NECDO has played a positive role in reduction of violence against women in the light of Islamic values & Afghan government ratified conventions. 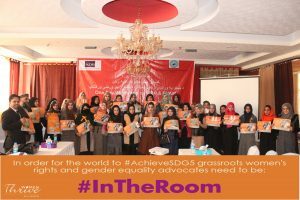 NECDO is committed to support Afghan women who are the severe victim of wars and social injustice through its guidelines of “gender policy”. We believe that if Afghan community is mobilized and their trust is built than it is easy to bring changes in their behaviors and give them option for a better and prosperous life. Therefore we strive to have 70% of chances for women & 30% of chances for male through all program and projects up to 2015. 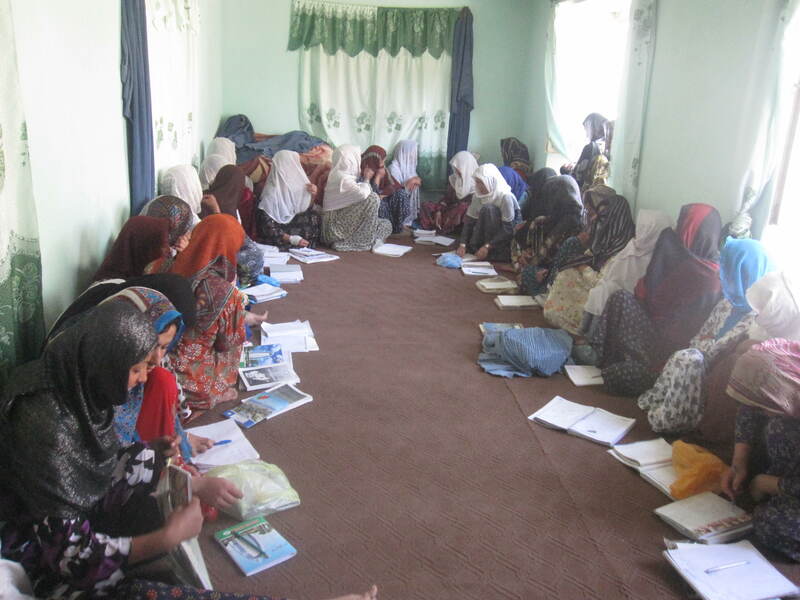 Capacity Building- NECDO is committed to improve the capacity of human resources within the country that ensure participation of women in reconstruction of Afghanistan. So that women resume full responsibilities toward developmental activities for both improvement of themselves and their country. Culture sensitivity- “ think globally- act locally” is the methodology, which we use in our activities. One of the important elements in shaping Afghanistan political and social scenario has been cultural values which are miss interpreted by those having influence in community. NECDO as a nongovernmental organization, non-profit and nonpolitical organization is committed to respect people’s perceptions and at the same time try to convince them for a positive change that is critical for their social and economic wellbeing. This policy has given strength to NECDO to work in the grassroots level and get community’s trust and cooperation. 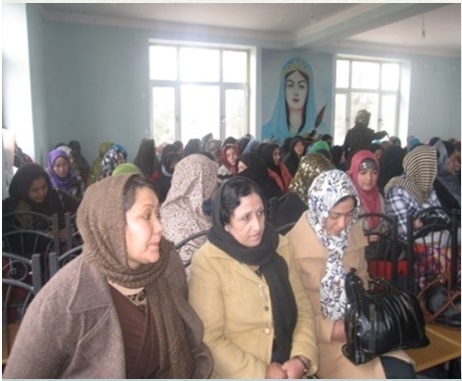 Advocacy and Networking- in the context of Afghanistan, advocacy and networking important tools for mobilizing the community and networking with other stakeholders for bringing positive changes in the status and behavior of Afghan community including men and women. NECDO found advocacy a very positive approach in EVAW. NECDO also sees networking as a practical way to reach larger groups of people and share experience with sister organizations. We believe that mobilizing Afghan community for change is possible but requires time, patience and hard work. 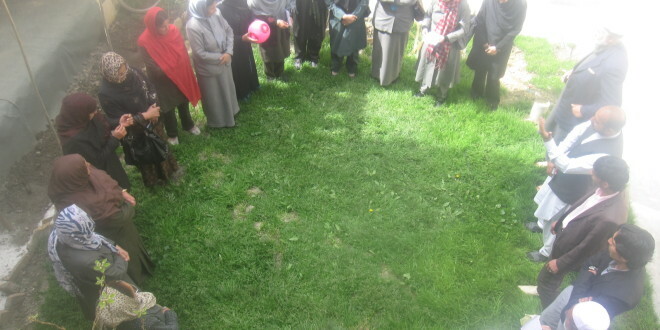 Collaboration– NECDO strives to work as a team inside the organization and with those sister Organizations that aim to bring positive changes in the statues of women and the Afghan community as a whole. Specifically at this moment while Afghanistan is passing through a tumultuous time, there is a great need for coordination of activities in order to be more effective and get best use of time and money for a developed and peaceful Afghanistan. One of the strongest points that NECDO believes in is the sense of brotherhood and cooperation that can lead us to achieve our goals. Management team: Executive Director is working under direct supervision of the Board Members, and she up date them about activities through board meeting which holds at least 4 times in a year. She is responsible for over all management of program and projects, She supervises the management team based on their job description. Reporting system: NECDO staff is mandated to have monthly report where the supervisors compile the project reports into one departmental report. Each department will have their monthly reports as well as work plans to form annual organization work plan. 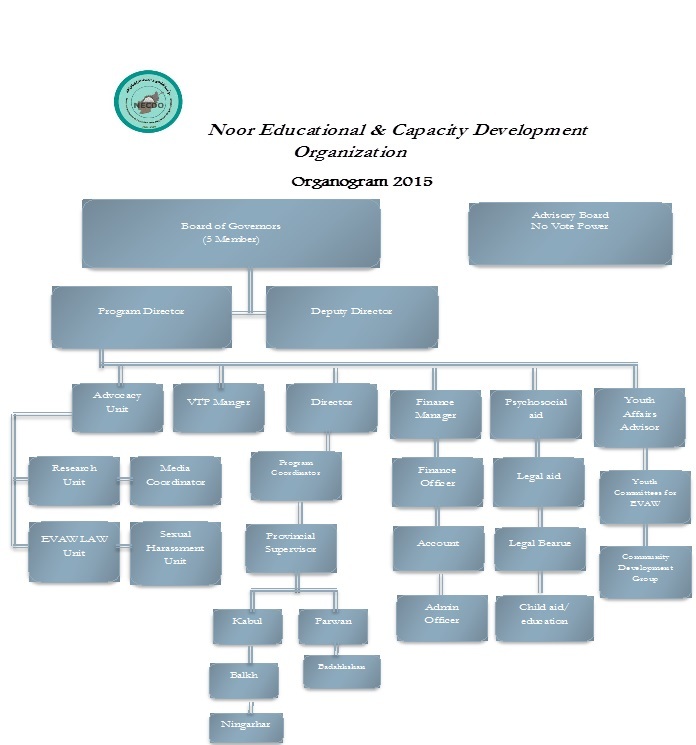 The program coordinator develops quarterly report of activities and the Executive Director develops annual reports where all activities are produced in in details that will include a summary of financial report. Reports are submitted to donors depending on the terms and conditions agreed in the project contracts or agreements. Monitoring and evaluation– Finally, in order to track progress and enhance learning and quality, an effective system of monitoring and evaluation that includes assessment of on-the-ground results is needed, developing such a monitoring and evaluation system is possible when NECDO has the required budget. However, NECDO monthly, quarterly and annual reports prepare the ground for the timely correction of the problems during implementation of the projects. Thus giving NECDO an overview of the progress made in project sites on implementation of the planned activities in line with NECDO program strategy. We also conduct annual general assembly where NECDO overall activities are presented to the staff members and members of NECDO Board of Directors and Advisory Board members who then give their comments on the improvement of activities.